So this is weird. 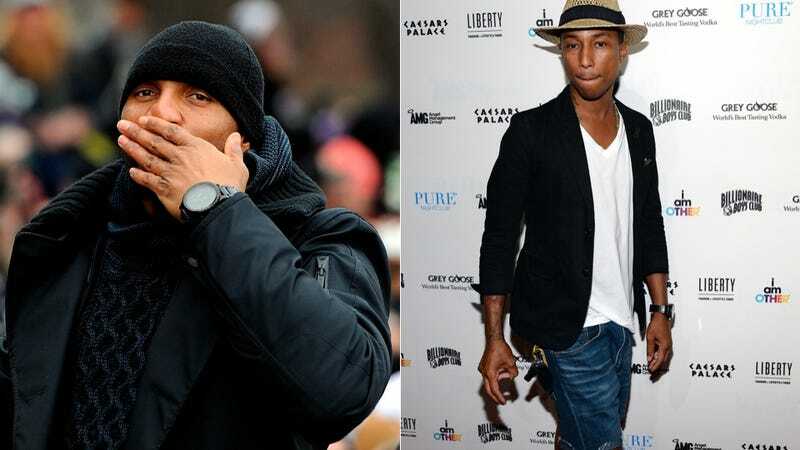 Pharrell Williams, who is perhaps the hottest producer in music right now, has teamed up with former NFL linebacker and full-time crazy person Ray Lewis to release a mixtape. It's not really a mixtape, though, it's just four minutes of Lewis's old locker room speeches backed by Pharrell beats. The "mixtape," titled "Natural Born Hitters," is an Under Armour-backed endeavor, and I have no idea what purpose it is supposed to serve. Is this something that high school football players are supposed to listen to to get hyped before a game? Is it for sad Ravens fans who miss Ray Lewis but enjoy their nostalgia with a dose of loopy, danceable beats? Whatever the point of this is, somebody should send it to Joe Flacco. We hear he always had some trouble understanding what the hell Lewis was talking about, so maybe this will help.